Surfer Blood, your favorite left-of-center-pop-rock band is back with a new song today, along with an announcement that they will be releasing a new album later this year. The album will be called Pythons; the song is called "Weird Shapes" and it's quite good. Frontman JP Pitts calls it "one of the most dynamic songs we've ever written" and it's hard to disagree. Check out the song below, and head to Surfer Blood's website for a free download of the track. Surfer Blood starts a tour next month in California, leading up to their "apparent" appearance at this year's SXSW. 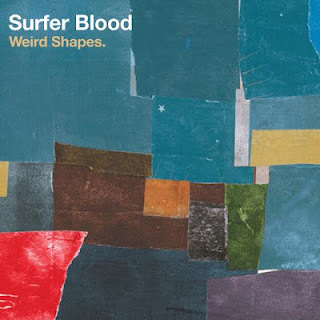 Surfer Blood - "Weird Shapes"